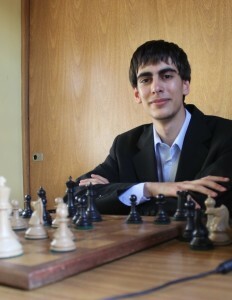 GM Damian Lemos focuses teaching you certain combination tactics that bring about forced mate or gaining material by meticulously scrutinizing 4 Super GM games in order to explain how Grandmasters think. There are a lot of tactical themes that should be known and certain typical combinations that all players should know. There are simple combinations with few moves to gain material in the short term and other more complex and difficult ones that require longer precise calculation and can bring about mate or gain material but not immediately. In this volume you will see some of these great deadly combinations that bring about a direct mate attack against the enemy king, or at least gain in material heading into favorable endgames. If you want to improve your combinations, improve your calculation and attacks on the opponent’s king, you must see this volume. All of this is clearly and concisely explained by Grand Master Damian Lemos, one of the best presenters of chess video instruciton. 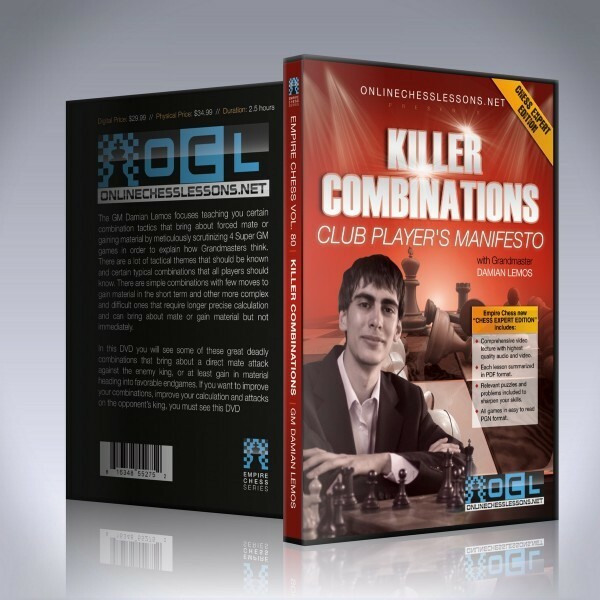 Grand Master Damian Lemos’ excellent presentation skills will guide you through this volume class, the tenth in The Club Player’s Manifesto “Expert Edition”. The GM Damian Lemos focuses teaching you certain combination tactics that bring about forced mate or gaining material by meticulously scrutinizing 4 Super GM games in order to explain how Grandmasters think. There are a lot of tactical themes that should be known and certain typical combinations that all players should know. There are simple combinations with few moves to gain material in the short term and other more complex and difficult ones that require longer precise calculation and can bring about mate or gain material but not immediately. In this volume you will see some of these great deadly combinations that bring about a direct mate attack against the enemy king, or at least gain in material heading into favorable endgames. If you want to improve your combinations, improve your calculation and attacks on the opponent’s king, you must see this volume. All of this is clearly and concisely explained by Grand Master Damian Lemos, one of the best presenters of chess videos. Exclusive Grandmaster/Master Video by a brilliant presenter. We preselect only the most compelling and interesting Grandmasters and Masters to make volume for us. In depth text chapter summaries in PDF format of each volume content to easily reference if you need a quick refresher on a specific topic.